Having worked on both the sales and procurement sides of the table in industries including manufacturing, defense, airlines, technology, publishing, and gaming/hospitality, Mike is uniquely qualified to offer critical real-world examples and in-depth analysis to class case studies and discussion. Adding to his depth, Mike has successfully worked deals (4 of which have been in excess of $100 million) with people ranging from entry to C level, and from straight commodities to strategic relationship opportunities. 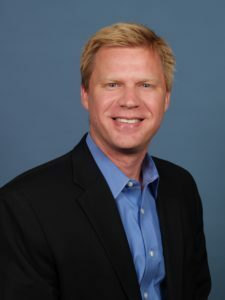 Being responsible for over $1 billion in spend and consistently delivering value through negotiating a variety of complex, strategic deals throughout his career has enabled Mike to be recognized by his management, peers, teammates, and counterparts as a leader in the realm of real world professional negotiations. He brings an understanding of what’s on the other side’s sheet of paper through broad and deep sales and purchasing experience that includes every level (from individual contributor to C level) in categories that span direct & indirect, products & services, and capital & operating expenses. MGM Resorts International (formerly MGM MIRAGE) — Head of Global Procurement (1 of 3 reporting to CAO) responsible for the strategic sourcing of Food & Beverage, and IT & Professional Services (including Advertising & Marketing, Aviation & Travel, Consulting, and HR initiatives). IAC/InterActiveCorp (and its operating business Entertainment Publications) — Vice President of Procurement and Production, built the first cross company functional team, Strategic Sourcing, whose efforts generated $100M in cost reduction and improved value in the first year primarily through negotiations. US Airways (formerly America West Airlines) — Director of General Purchasing, including traditional negotiations as well as significant reverse auction experience. General Motors / Raytheon / PointGlobal — Purchasing and supply chain positions managing a global manufacturing base. Kenmar — Sales Manager for engineered OEM automotive products from Australia, Brazil, and Italy to Chrysler, Ford, and GM at the largest OEM sales organization in the world. Originally from Detroit, Michigan, after having relocated corporately multiple times, Mike and his family now reside in Denver, Colorado. When not teaching negotiation, Mike enjoys spending time with his family and critical thinking exercises.